Warsaw University students had successfully blocked a fascist demo held at the gates of the university last Saturday. The far-right protest was formally organised by the Association of Polish Students. It featured a several dozen masked far-right activists from, among them the nationalist All-Polish Youth and neo-fascist magazine “Szturm”. They gathered outside of the university gates to, officially, take part in the action entitled “Universities Free of Marxism”. Polish press reported that the protest had little to do with criticism of Marx and instead focused mostly on “leftist extremists”, who, according to the fash, have too much influence in academia. During the demo, one speaker was shouting that “leftist, jewish ideology” should not be promoted at the university, while his counterparts, many bearing the celtic cross symbol, were raising slogans in support of Janusz Walus-Polish white supremacist currently imprisoned in South Africa for the murder of the communist activist Chris Hani- among others. 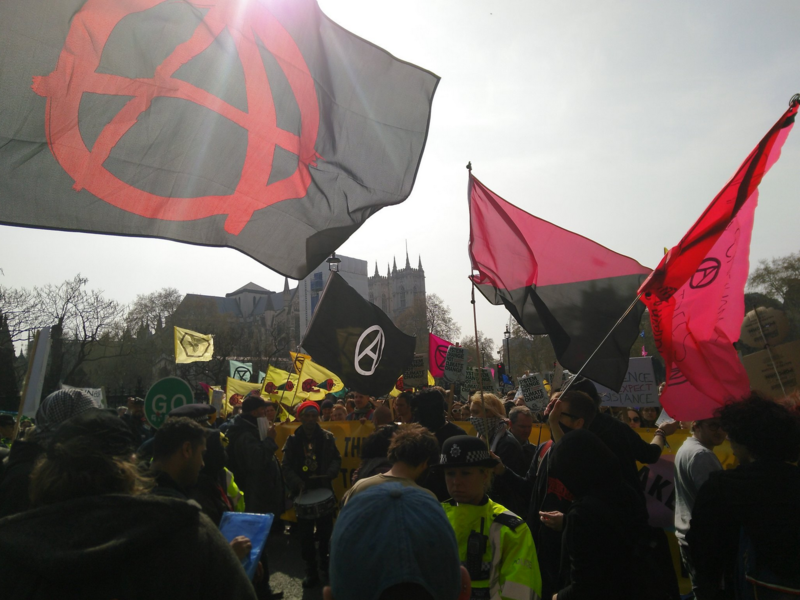 The far right activists attempted to enter the university, but were successfully blocked from doing so by the several-times stronger in numbers group of antifascist students. The counter protest was called by the Student Antifascist Committee. According to Warsaw students, the university is suffering an influx of far-right propaganda. That includes the recent disruption of a film about LGBTQ+ rights, distribution of homophobic flyers and stickers at the university’s grounds, and propaganda advocating for introduction of limits on the number of foreign students. The Association of Polish Students declared in a social media post that they will keep organising actions at universities across Poland in order to “save universities and regain hegemony”.